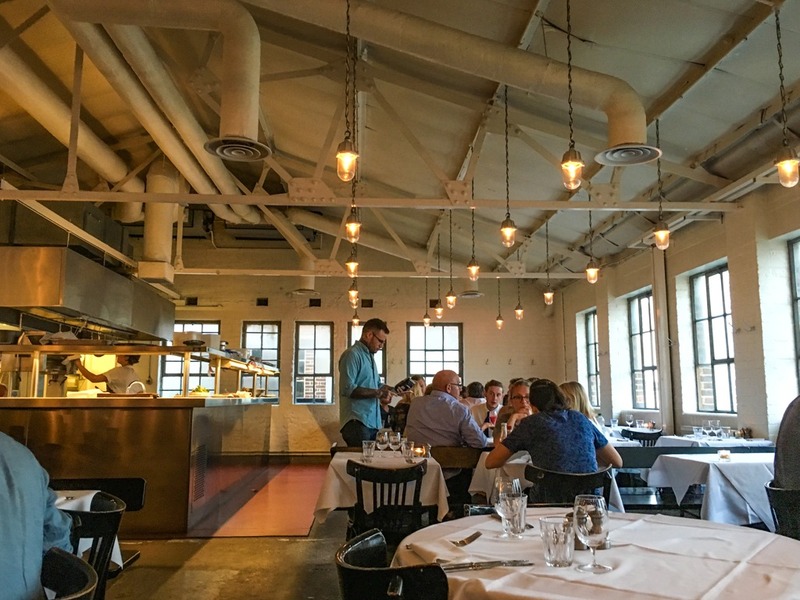 Feeling Modern at Bistrotheque - TA TA, CHEERS! 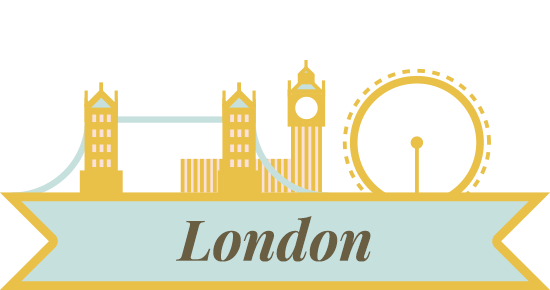 In a city like London, new restaurants are popping all the time with their flashy new concepts. Bistrotheque is not one of them. It opened 14 years ago and is located between Bethnal Green and Hackney, in a two storey unmarked warehouse. 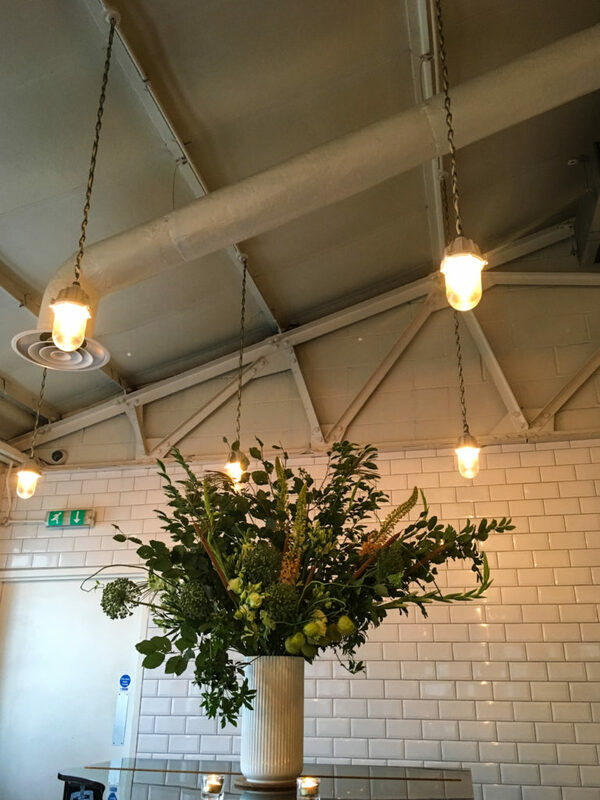 East Londoners have loyally stuck with Bistrotheque because of its quality and consistency. Victor and I were struggling to find good restaurants with no hint of spiciness for the sake of Victor’s mom, and an East Londoner recommended Bistrotheque because she knew it would be good, as always. The place oozes of modernity and I felt very ‘in the know’ with every dish I tried. 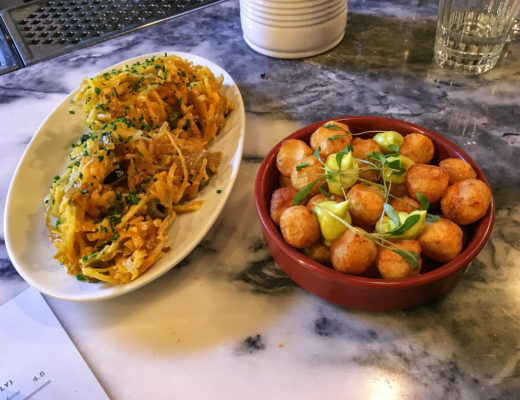 Am I the only one that gets really excited about starters/appetisers? I feel as though they are always a bit ‘extra’ and therefore when you do order them, it’s extra special. I also have this funny habit of loving starters more than the main course–oops. 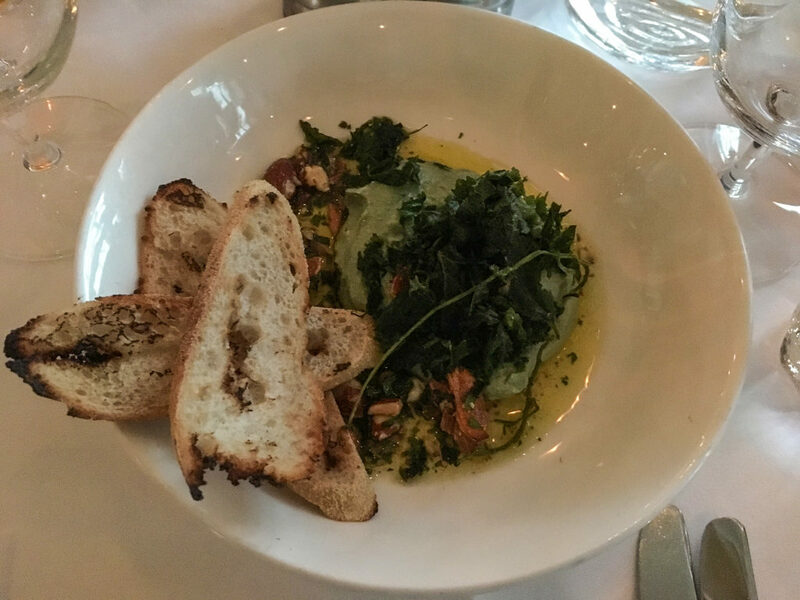 We started off with some whipped ricotta with spinach, almonds, and some crispy garlic. 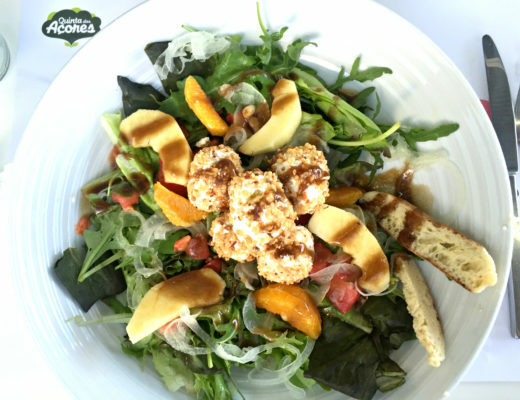 All the flavours complemented each other in this nice leafy, nutty, earthy dish. 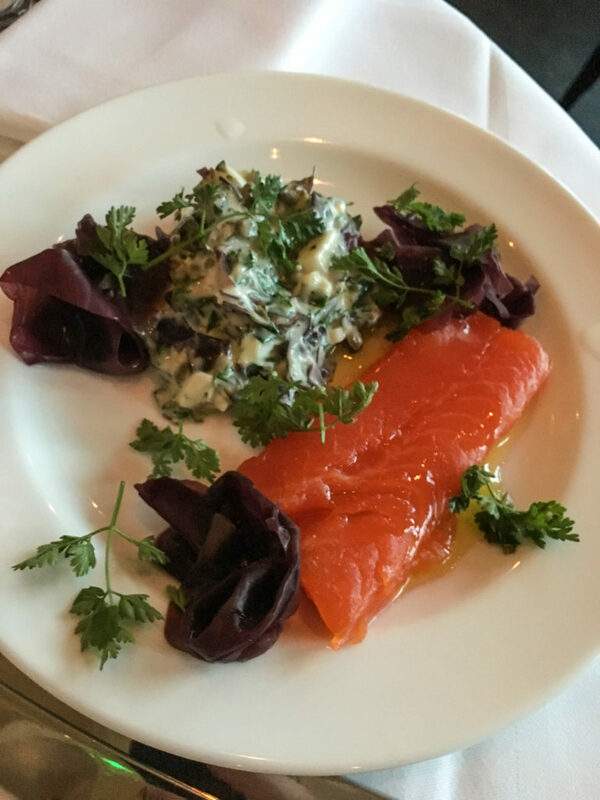 We also had some smoked salmon, which was divine. 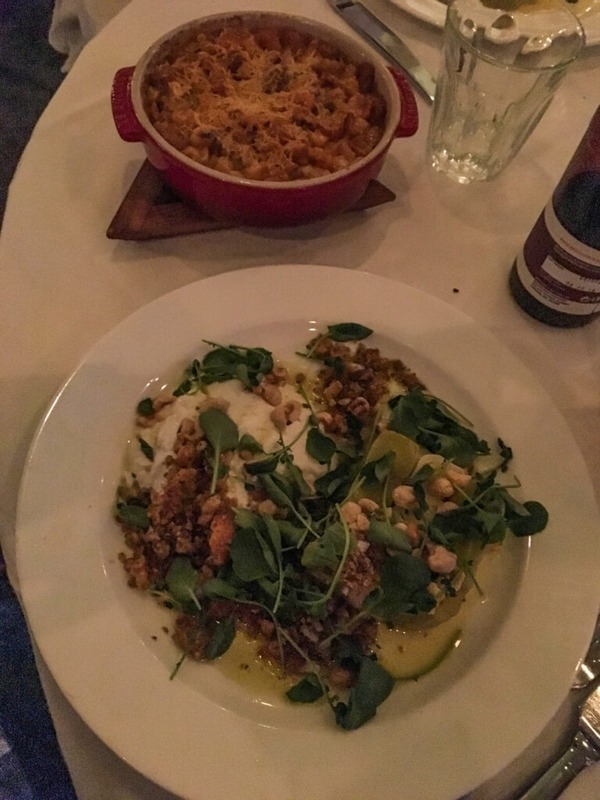 Victor shared two lovely main courses that have obviously been refined again and again. 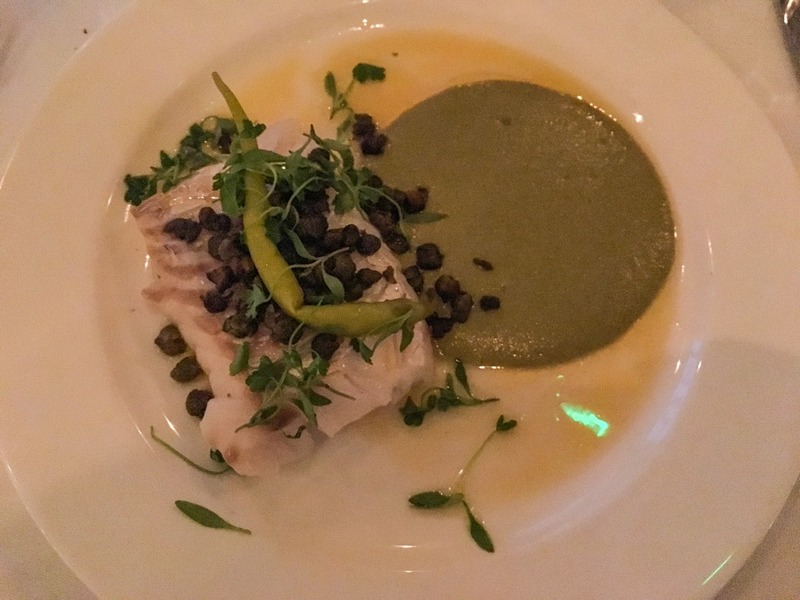 We ordered the roast cod which was served with pickles and a guindilla pepper emulsion. I loved the sour taste with the perfectly tender cod. We also shared the buttered leeks with goats curd, hazelnuts, and caper breadcrumbs. The flavours are mild, earthy, and balanced. As a side, we also ordered the miso corn gratin. This went great with our beer! Bistrotheque serves a lot of beer from Redchurch, a brewery originating in Shoreditch. As soon as Victor saw crème brûlée on the menu, I knew we’d be all set. 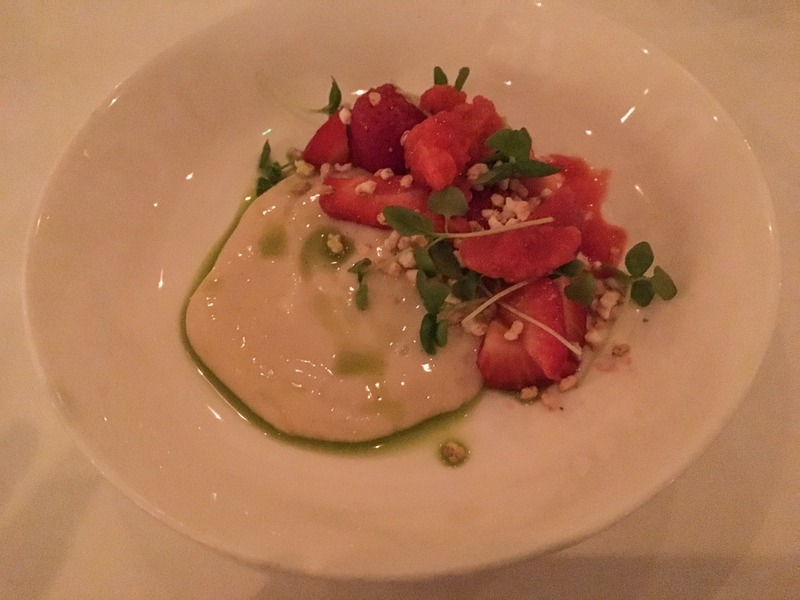 But… there was another dessert that really caught my eye — the strawberries, rice custard, puffed rice, and basil. It sounded fresh, creamy, and interesting. 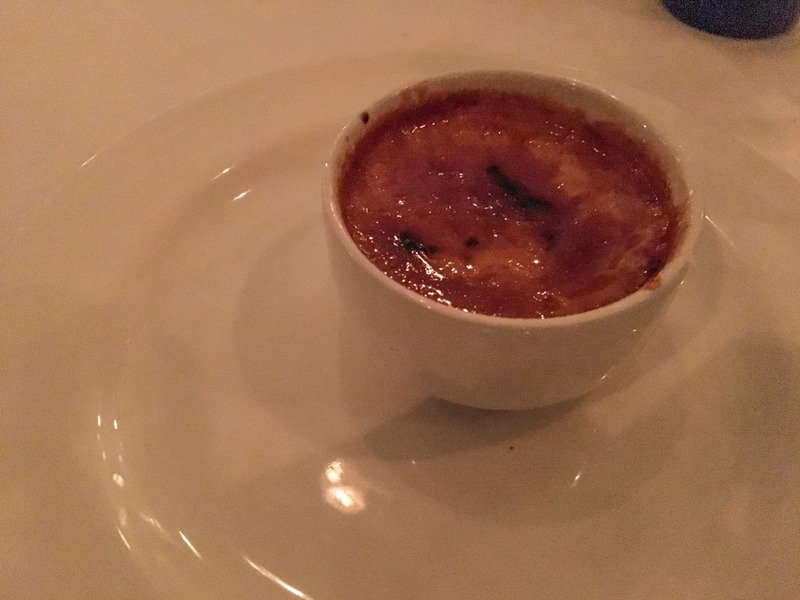 First and foremost, the crème brûlée is absolutely delightful. It has the perfect sweet level. Second, the rice custard dessert was indeed very unusual, but also delicious! The strawberries alone are to die for. And so, our dinner was a success. Our original goal was to find a place with no spicy food, but we also received a delicious meal. 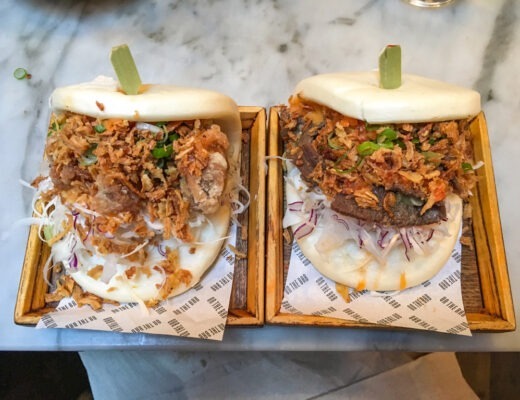 I can’t wait to try out more East London restaurants! 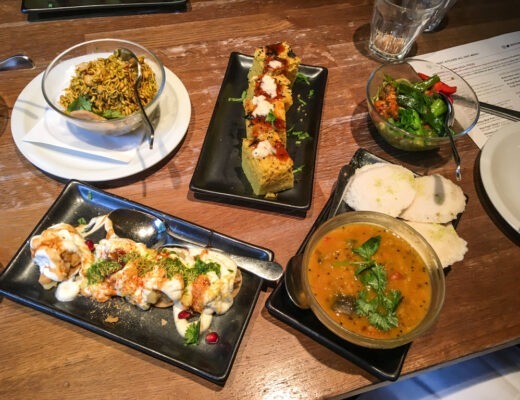 For more London Restaurant Reviews, click here!